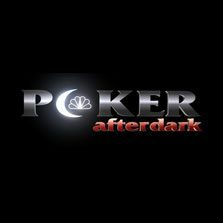 The most recent Poker After Dark Cash Game has come to an end, with a carousel of the game’s top pros each putting up $100,000 in front of the cameras. Saturday’s directors cut was chocked full of interesting hands and even a couple of controversial moments. The week began with Chris Ferguson, Phil Hellmuth, Mike Matusow, Peter Jetten, Brandon Adams, and Jean-Robert Bellande at the table. As ever, JRB revealed that he had brought most of his bankroll to the table, with mystery backers lending him enough to field the $100k buy-in. He proudly stated that he did not have nearly enough money to rebuy, so when he got involved in a big hand against Chris Ferguson, he needed to make sure he was on the winning side. The hand in question began with Peter Jetten and Phil Hellmuth posting bets with 2-2 and 4-4 respectively. Bellande upped the ante with A-Q, ahead of Ferguson entering the pot with a re-re-raise. Jetten folded and Hellmuth called. At that point, Bellande made a play that the pros unanimously agreed to be a mistake. JRB claims he was trying to steal the pot from what he thought might be a bluff by Ferguson. As it transpired, all his re-re-re-raise prompted from Ferguson was an all-in bet. Bellande called and flipped his A-Q to find A-K staring back at him. The board didn’t run out in Bellande’s favour and he was nearly busto. A final losing hand against Phil Hellmuth and JRB was out of chips and out of bankroll. It’s back to playing micro-stakes for the former Survivor star. He was replaced by Michael “The Grinder” Mizrachi – the tournament expert who famously made the 2010 November Nine. Before the Grinder could make his mark on proceedings, the ever-present Mike “The Mouth” Matusow had a moment in the spotlight. Facing down a re-raise with pocket Queens against Chris Ferguson, he made a shock fold, flipping his cards for all to see. The table stared on in disbelief as Chris quietly folded and raked the pot. Matusow claimed his gut was telling him to fold after he got caught in a similar position against Ferguson in a London cash game. Although he kept characteristically quiet for a few hands, Chris did later reveal that he was holding pocket Aces. The most controversial moment of the day again featured Matusow, this time teaming up with his good friend Phil Hellmuth. After the duo got their money all-in on a coinflip, Mike offered to take back most of the pot, so that they weren’t risking their entire stacks of a 50/50 shot. Hellmuth, the slight underdog, happily agreed and ended up winning the modest amount that remained in the middle. The pros discussed it at length during the roundtable that ended the week and almost all agreed that it was a fair play. Recently the Epic Poker League saw its first event take place in the Palms Resort Casino in Las Vegas. Prior to the Main Event was a $1,500 Pro/Amateur tournament which saw 190 players enter. Those that finished in the top 9 received seats in the Main Event. 128 pros paid the $20k buy-in in addition to the 9 qualifiers, which meant a total field of 137 people. The total prize pool was $3,085,200 when it was all said and done since $400,000 was added to it. It goes without saying that the field consisted of a large number of tough professionals since that is what the Epic Poker League is all about. The fact that the event was six-max ratcheted up the action quite a bit as well. Everyone started off with 50,000 chips, with the blinds at 100-200. Levels were scheduled to last 90 minutes. After all the buy-ins were tallied up, a mammoth first place prize of $1,000,000 had been created. It should not be surprising that some people didn’t think much of the event, however. Daniel Negreanu, one of the most prominent players in the world, had several reasons for not playing. For one, he doesn’t believe the Epic Poker League can succeed in today’s poker landscape because it will have trouble finding outside sources that will provide money. He made it clear that he did a lot of research before deciding whether or not to play. He went on to highlight the fact that other high profile pros also made the decision to skip the event, including Gus Hansen, Doyle Brunson, and Phil Ivey. Now that the pros have had their first taste of the Epic Poker League, it will be interesting to see whether or not they come out again for the second event. Or will the field size in the next event be a disappointment? All we can do is wait and see.